Emerging from the long shadow cast by a famous relative who was also a beloved performer can be a pretty tall order for any young, up-and-coming artist to handle. 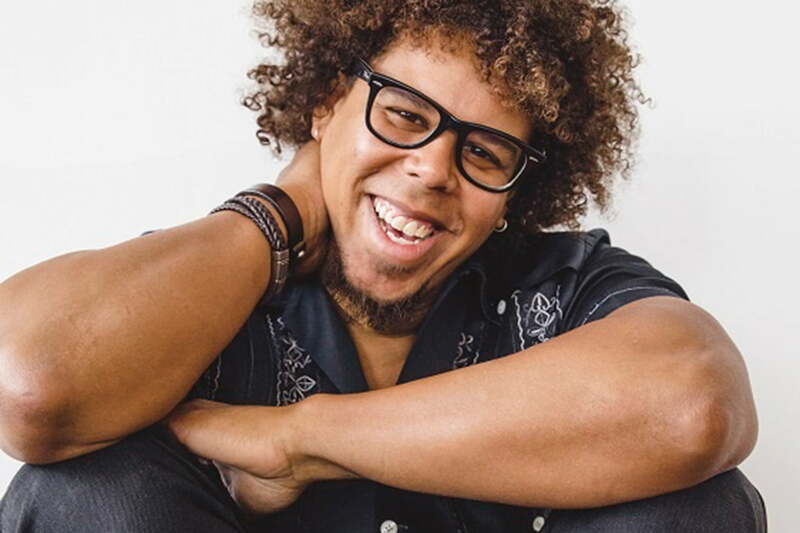 And yet Jake Clemons, nephew of the late Clarence “Big Man” Clemons — the legendary E Street Band saxophonist and longtime onstage foil for Bruce Springsteen who passed away in 2011 — has handled his entry into the spotlight with nothing less than style and grace. 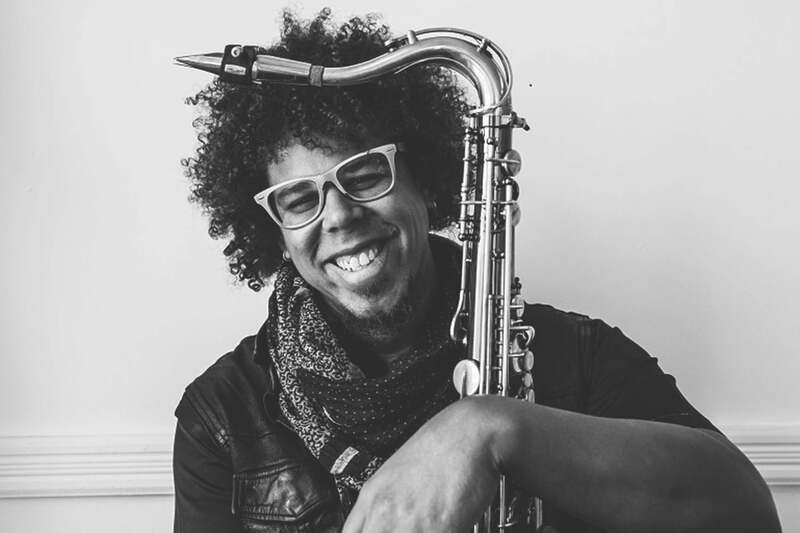 Upon joining the band in 2012, he put his own stamp on revered classics like Jungleland and Born to Run, making himself at home in his uncle’s giant E Street shoes – both sax men shared size-16 boots. Jake also had the wherewithal to stick to his creative guns and nurture his own identity as an artist with his first full solo album, Fear & Love, out today in various formats via BMG. 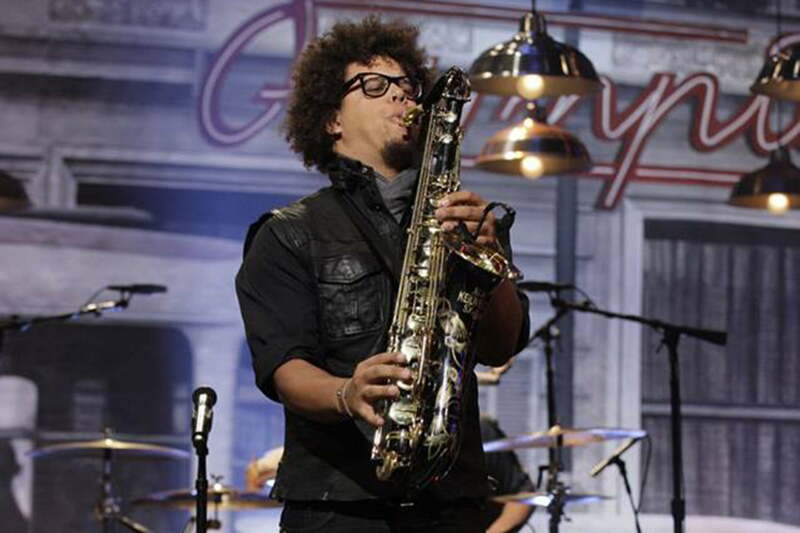 Instead of taking a safe, Boss-loving, crowd-pleasing approach, Clemons decided to lay it all on the line in stark, revelatory songs like Janine, Sick, Broke & Broken, and Move On by focusing on personal subject matters born more out of guitar, piano, and voice rather than those signature, stadium-friendly sax licks. 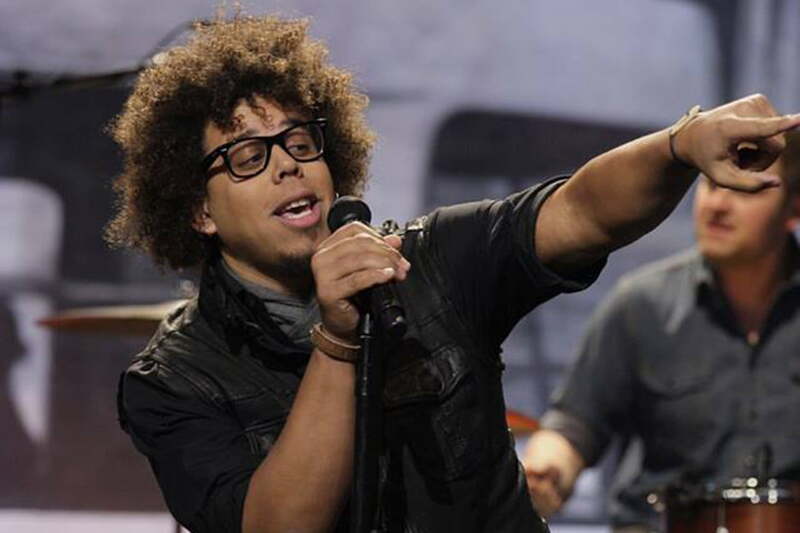 “It’s an exciting thing to be able to put a record out this way,” Clemons told Digital Trends. “Sometimes, your subject matter is going to be really broad, and sometimes it’s going to be really narrow. That’s something I’ve learned from the masters along the way, and Bruce is the perfect example of that. 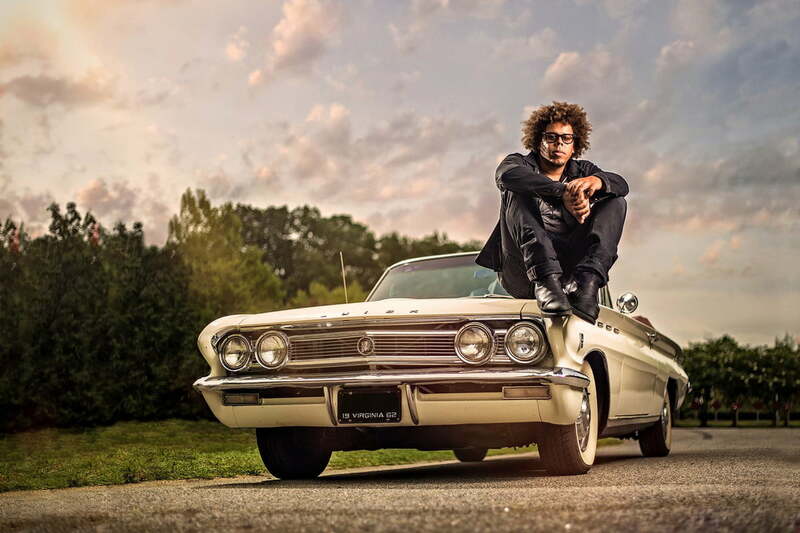 Clemons called Digital Trends before heading down under to Australia and New Zealand with Springsteen and his E Street Bandmates for a string of high-profile tour dates to discuss how best to convey an artist’s vulnerability, why he downplayed his sax chops on this album, and what the streaming experience hasn’t been able to replicate just yet. Digital Trends: Before we dive into Fear & Love, I have to tell you I got to see one of those four-hour-long marathon shows Bruce did last year. How are you able to do that night after night? You’re like world-class athletes up there. 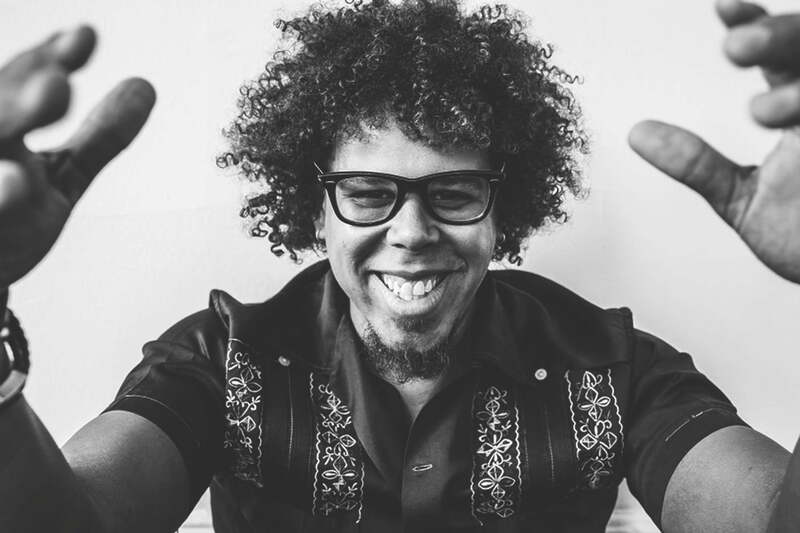 Jake Clemons: (laughs) I just show up, and try to be free and clear in the moment. I have no idea how long the show is by the time we get offstage. It’s just magic. I hope it does too! Now let’s talk about Fear & Love. One thing I like about it is how your voice is front and center in the mix, and I also like that there are a lot of layered harmonies too. I imagine both of these things were deliberate parts of your overall production goals for the album. I appreciate you pointing that out, because the production goals for this album were very intentional. We spent a lot of time on it. For me, this is a very personal, introspective record. It’s my own journey, and it’s a story. It starts off with that “warning” at the very beginning, and then it works its way through the hardship and the confrontations, and then into the resolve. The idea of having my voice very much at the front of the mix was because it’s my story, and I wanted to give a very personal side to it. I wanted to make sure there was a sense of me that was tangible, especially through the vocals. How you present yourself as a vocalist has that classic singer/songwriter vibe to it. For example, there’s a vulnerable side to Janine, and by the time we get to the back half of the record and Just Stay, we’ve gotten a clear sense of you as a person and as an artist. Oh, oh, cheers — I appreciate that, thank you! That’s the hope. If I remember it correctly, you actually learned how to play piano first, right? That’s what your dad wanted you to do. That’s right. I told him I wanted to play saxophone, but he did the dad thing and said, “Piano first!” I studied piano for about four or five years before I was even able to pick up the saxophone. Do you feel that helped your compositional sense as a songwriter? Oh, absolutely! As far as I’m concerned, the piano is a symphony at your fingertips. Being able to understand the rhythmic differences and the percussive differences, how the chords are structured, and where the melody will fit within all of that — that’s all very much a huge influence on the composition. I’ve heard other artists say knowing how to play piano helps them come up with interesting chord figures and finger positionings on guitar — do you feel that way too? Do you compose differently, depending on the instrument? No question. There are songs I’ve written on one instrument and then have chosen to perform on another instrument just because of the way it can convey it differently. I write on piano completely differently than how I write on guitar. 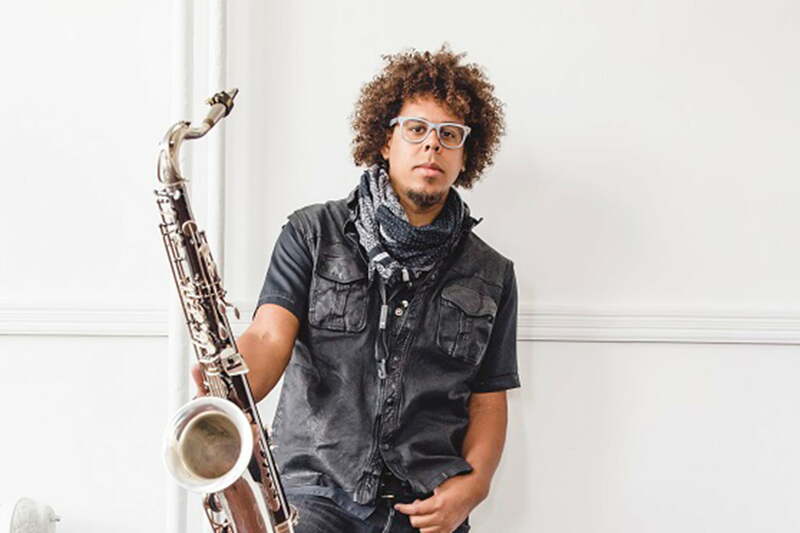 You don’t really even feature sax on the record until we get to track 6, A Little Bit Sweet. That sequencing choice had to be a fairly deliberate decision on your part. Yeah. For me, each element you’re hearing really has to serve the message and the idea, and help to convey the idea. I certainly could have put the sax on there earlier, but I felt it was important to hold onto that and reserve it for that point in the record. 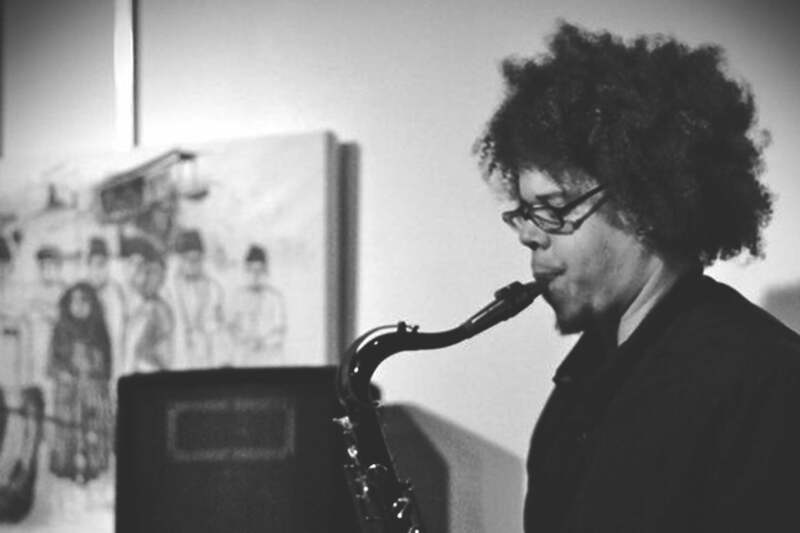 I use a lot of vocal harmony in places where I may have used saxophone harmony, and a lot of that is because of the rawness of the material. There’s a sense of the soul just being exposed in a very, very vulnerable way. A lot of times, when the sax comes in, it’s more of a joyful introduction. Since you’re taking us on a journey with Fear & Love, it really feels like we’re being taken through Side A and Side B of your story — just like a great vinyl album does. That’s actually really important for this record. If that aspect of the music is lost, I would expect it to be hard to understand, you know? Even on the CD, it’s spelled out as “Side 1” and “Side 2.” It’s extremely important. There’s a transition that happens on the record. It’s a story. I’m very much looking forward to hearing it on vinyl myself, and doing that first record flip. Speaking of vinyl, when you were growing up, was there a “first” record that was the one that got you started on the album-listening path? You know, I hate to admit this, but I was a super-late bloomer in that regard. My dad was super-strict, so we weren’t even allowed to listen to E Street in the house! We listened to gospel music, classical music, and marching-band music. I remember going through my dad’s 8-tracks of [gospel singer] Shirley Caesar. (laughs) He wasn’t a big vinyl collector. He had some marching-band vinyls and some symphonic vinyls, but nothing much outside of that. I was probably 16-years-old when I got exposed to rock music from some of my friends, who got it through their parents’ vinyl collections. I thought that was phat — “You get to listen to The Beatles? Amazing!” (both laugh) Yeah, it blew my mind. When you were “allowed” to dive into the E Street universe, what did you start with? The first thing I was exposed to was the Live 1975–85 collection [originally released in 1986]. I thought it was a decent place to start. I tend to fall into chronological things in general, because I typically like to start at the beginning. To be honest, the first thing I really delved into with E Street was probably Darkness [on the Edge of Town, released in 1978], before I was able to back up and start from the beginning. Bruce has often said how he wants to bring the younger generation into the rock music fold. Some of the current audience has never even seen the band before you were in it, so your playing is the first exposure they’re getting to these iconic sounds. Do you have a sense of carrying the mantle of what Clarence established over all the years he was in the band, as well as putting your own stamp on certain songs? Hmmm. (pauses) I don’t really think of it that way when I’m on tour with E Street. For me, I very much feel that connection to the next generation, but it’s not absent of that mantle, no. I don’t really feel like I’m creating my own space as much as I’m honoring what’s been there. But, inevitably, my own reflection is going to be on that. To me, what’s been there for the past 40 years is timeless. My own characteristics will be exposed, just by the reality of me carrying it. But when you get really philosophical about it, it’s been there longer than 40 years — that “something” that Clarence was able to bring to the table — and it was something he was able to bring from before him as well. I like the idea that it’s all just being passed through us. We’ve been talking about listening to this album on two sides of vinyl, but since we’re in a streaming world these days, people are going to go to services like Spotify to listen to this music. As an artist, what do you feel about streaming? The one thing about streaming tracks is that it doesn’t convey the essence of an album through traditional means. Maybe we’ll figure that out one day. At this point in my career, it doesn’t bother me at all. I’m happy with people being able to have exposure to stuff. I certainly do both, you know? The only thing about it for me is streaming tracks isn’t able to convey the essence of an album through traditional means. Maybe we’ll figure that out one day. I’ve listened to the record so much at this point, but it’s always exciting to go back to it and listen to it straight through after a week or so of not doing it. I enjoy the record — and I’m really happy to be able to say that! The emotions I was hoping to convey connect with me from another perspective as well. It’s exciting, and I’m really happy to hear you connect with it yourself. Yeah, it really touches me as a listener. Finally, is there one song from the E Street canon that’s a favorite of yours people might not expect? There are so many. The first thing that comes to mind is Lost in the Flood [from 1973’s Greetings from Asbury Park, N.J.]. That’s a song where I’m a thousand percent dialed in, from the almost cinematic way the music flows to the lyrics and the story being told. It engages me very deeply. It’s such a ripping song; it’s great.